I am excited to share with you the press release we issued to the media today announcing my candidacy for Georgia State House District 50. JOHNS CREEK – Following Friday’s announcement that State Representative Lynne Riley (R-Johns Creek) has been named by Governor Nathan Deal to lead the Georgia Department of Revenue, Johns Creek City Council Member and Mayor Pro Tem Kelly Stewart announced Saturday her intention to run for the open Georgia State House District 50 seat. Kelly was previously appointed by Governor Deal to serve on the Board of Directors for the Department of Juvenile Justice. Stewart also serves on the Board of Directors for the Georgia Municipal Association. 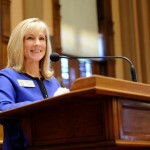 At the federal level, Kelly worked on Capitol Hill in the US House of Representatives; at the state level, in the University System of Georgia; and at the local level, as a County Administrator. Kelly is a lifelong conservative who believes in limited government and individual responsibility. 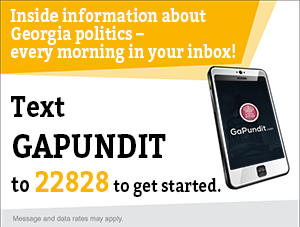 She will bring strong leadership, fiscal responsibility, and her ability to build broad coalitions to work through complex issues to the Georgia House of Representatives.